The promised third variant of the 10th-generation Honda Civic has just debuted at the 2016 Geneva Motor Show. The 2017 Honda Civic five-door hatchback appeared in what the carmaker calls "prototype" form at the Swiss show, ahead of its anticipated U.S. launch next year. Honda's show car looks essentially production ready, but some added details like a center-exit exhaust and bright green trim meant to add a little extra flair. Styling sticks close to the template of the 2016 Civic sedan and coupe, with a sleeker appearance than the previous Civic hatchback (which wasn't sold in the U.S.), and Honda's new corporate grille up front. The production Civic hatchback will likely be offered with a variety of powertrains in different markets, but for the U.S. Honda will likely stick to the same pair offered in the Civic sedan and coupe. 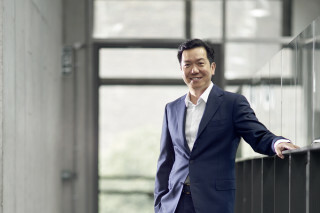 That means base models will get a 2.0-liter four-cylinder engine using Honda's i-VTEC variable valve timing system. 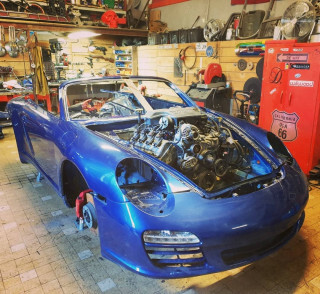 This engine is currently offered with either six-speed manual or CVT automatic transmissions, and sends 158 horsepower and 138 pound-feet of torque to the front wheels. 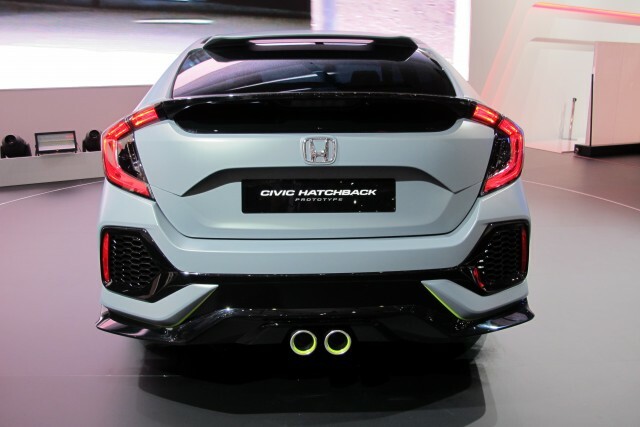 The naturally-aspirated four-cylinder will likely be offered alongside the 1.5-liter turbocharged four already available in the other 10th-generation Civic variants. This is the first turbocharged engine ever offered in a Honda-branded vehicle in the U.S. Available only with a CVT, it produces 174 hp and 162 lb-ft of torque in the Civic sedan and coupe. Fuel economy should be fairly close to the other Civic variants, both of which achieve a best of 35 mpg combined in EPA testing. 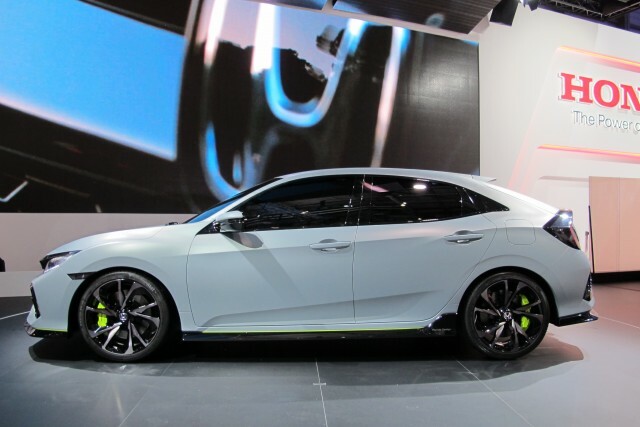 Following its Geneva appearance, the Honda Civic hatchback prototype will make its North American debut at the 2016 New York Auto Show later this month. European sales will begin in early 2017, with U.S. sales likely to follow soon after. U.S.-market cars will apparently be built in the U.K. alongside European-market models, and shipped across the Atlantic. Other U.S.-market Civic variants are currently built at plants in Indiana and Ontario, Canada. 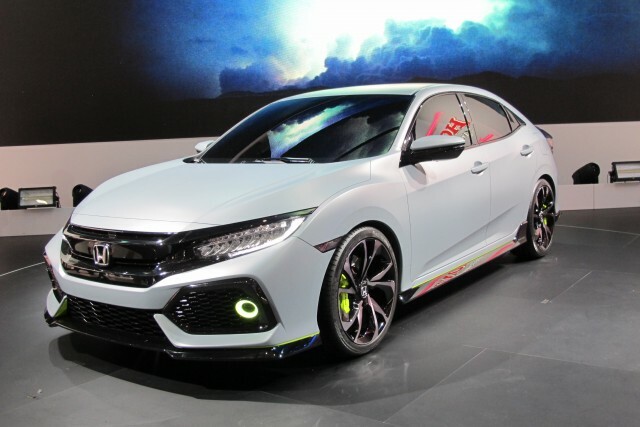 Following the Civic hatchback, Honda will launch Si and Type R performance models, which may use the hatchback body. For more 2016 Geneva Motor Show coverage, head over to our show news hub.